Another bit fell off Brighton's West Pier during recent storms. I thought I'd drive by and take a last look at the crumbling Victorian relic before it disappeared altogether. As I watched, the starlings started to gather. 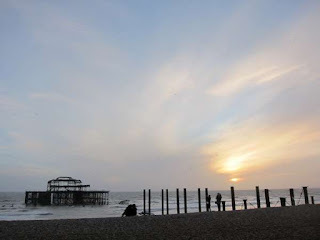 They stopped gathering almost immediately, maybe it was a starling bank holiday. 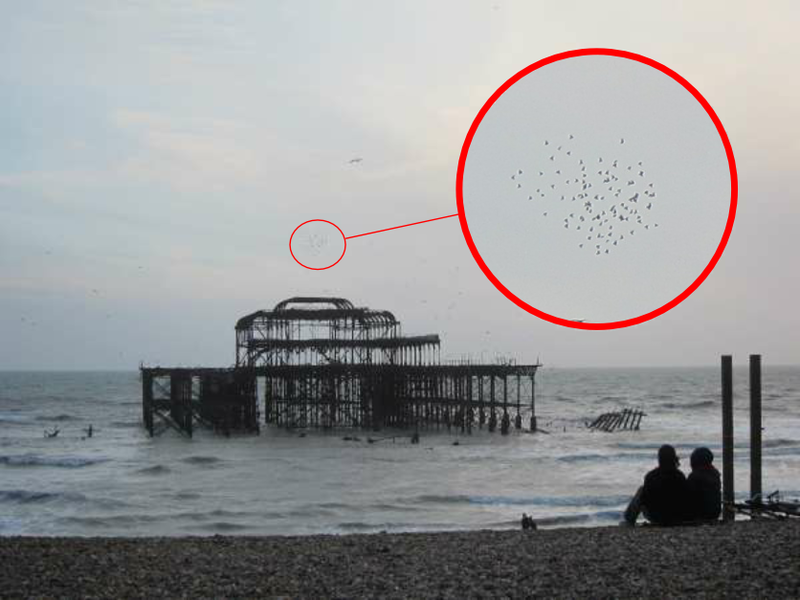 No one thronged the beach or the promenade to watch this minor murmuration.